Seven has released details of its interview special with Australian Olympians that has comprised part of a stoush with the Nine Network. The Heroes of Beijing will air “from” 6:30pm Sunday night. But like most of its Olympic programming, Seven is staying coy on some of the finer details. Part of the reason for this is the 7:30pm athlete interview that Nine has in 60 Minutes, which saw Seven apply pressure to swimmers not to participate. That would be a bit like the entire two weeks of Olympic programming, then? As the following Press Release suggests, Seven is probably planning a marathon session of events, interviews, highlights, live, pre-recorded, montages and more to stretch from 6:30pm right up to the Closing Ceremony at 10:00pm. Whilst every network that has ever hosted the games always does a retrospective before the Closing Ceremony, it’s unnecessarily cloak and dagger to tease viewers with promises of interviews and expect them to sit through 3.5 hrs. 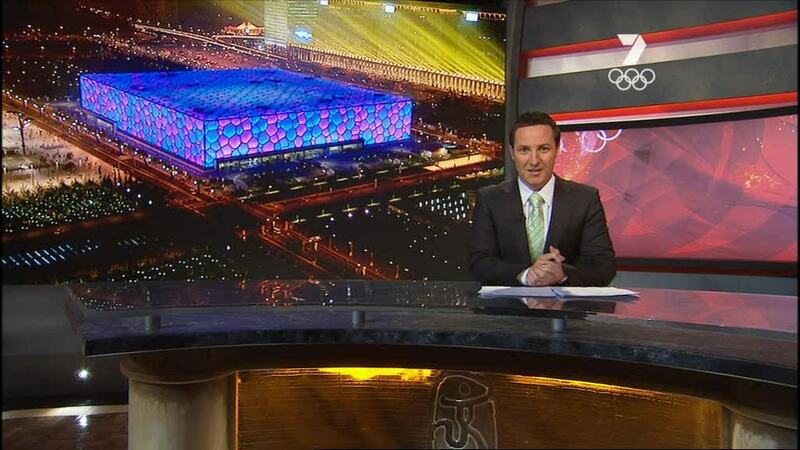 Seven will win Sunday night based on the Closing Ceremony alone. It should really just fess up and tell us when the athlete interviews are on and how long its special runs. Have they learned nothing from the extraordinary viewer backlash during these games? As fantastic as Michael Phelps, Usain Bolt and our female swimmers have been, 2008 will surely be remembered as the ‘fake Olympics‘, and not just because of the Chinese. For the record the athletes on 60 Minutes can be seen at 7:30pm, Australian Idol returns at 7:30pm on TEN, Doctor Who screens at 7:30pm on ABC and SBS has James May’s 20th Century at 8:30pm. Seven’s Salute To Our Superstars. Every medallist, every highlight, in a once-in-a-lifetime special. Friday August 22, 2008: In the countdown to the closing ceremony of the most amazing Games of the XXIX Olympiad, Channel Seven will this Sunday celebrate Australia’s finest performers in a primetime interview special – THE HEROES OF BEIJING – to screen across the country from 6.30pm. Gold medallists including triathlete Emma Snowsill, rowers Drew Ginn, Duncan Free, David Crawshay and Scott Brennan and sailors Nathan Wilmot, Malcolm Page, Elise Rechichi and Tessa Parkinson will stop by the Seven studios in Beijing to talk to Johanna Griggs and Matthew White on their way to the Bird’s Nest. Up and coming athletic superstar and 100m hurdles silver medallist Sally McLlellan as well as every swimming medallist – Leisel Jones, Libby Trickett, Stephanie Rice, Eamon Sullivan, Grant Hackett, Brenton Rickard, Cate Campbell, Jessicah Schipper, Hayden Stoeckel, Andrew Lauterstein, Bronte Barratt, Kylie Palmer, Linda Mackenzie, Felicity Galvez, Angie Bainbridge, Melanie Schlanger, Lara Davenport, Emily Seebohm, Tarnee White, Shayne Reese, Ashley Delaney, Christian Sprenger, Adam Pine, Matt Targett, Alice Mills, Ashley Callus, Leith Brodie, Patrick Murphy, Grant Brits, Nick Frost and Kirk Palmer will also feature in this medal extravaganza. We’ll meet Michael Phelps, take you through the Games’ greatest tragedies and triumphs, assess how China has performed in presenting the Games and how the fastest men and women in the world turned Beijing upside down. And then we’ll bring you the final gold medals on offer – the men’s basketball ball, the final bouts in the boxing ring, the gold medal match in the men’s water polo and more. Plus we’ll relive the spectacular moments in the opening ceremony as China gets ready to hand the Olympic torch over. Last up, we’ll cross to the closing ceremony to see these Chinese Games sent off in style. Our on-air team of Bruce McAvaney, Sandy Roberts, Ric Birch and Rebecca Wilson will then commentate what will no doubt be one final spectacular show.